Both men are veterans of American Solutions, Gingrich’s now-defunct 527, but are otherwise relative unknowns. Krull, who compared the campaign’s failure to get on the ballot in Virginia to the attack at Pearl Harbor, worked for a public relations firm that contracted with the George W. Bush administration before becoming the national director of American Solutions, but does not appear to have worked on a campaign before. Haley seems to have a larger presence in the political landscape, but only slightly. He’s floated through a number of Gingrich projects: he worked as Newt’s research director at the American Enterprise Institute, served as a contributor and co-author on a number of his books (Real Change: Moving from the World that Fails to the World that Works and Drill Here, Drill Now, Pay Less: A Handbook for Slashing Gas Prices and Solving the Energy Crisis), and as an associate producer on Gingrich’s documentary Ronald Reagan: Rendezvous with Destiny. Mid-December, the campaign acquired David Winston and Kellyanne Conway, both of whom carry considerable clout. 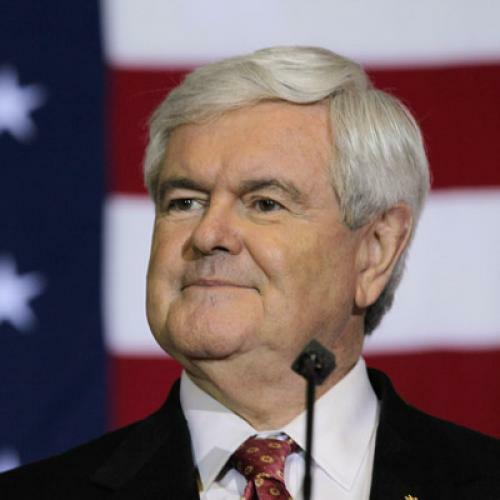 Winston has longstanding connections to Gingrich—he worked as director of planning when Newt was Speaker—but Conway seems to be a new professional association. Both run strategic polling firms and frequent the talking-head circuit, acting as pundits on major networks. While Winston’s expertise is decidedly that of a mainstream GOP strategist, Conway, the founder and CEO of The Polling Company, Inc., has focused much of her work on woman-directed branding and marketing.